Our popular and affordable “Romantic Beach Wedding Package” is perfect for couples looking for that perfect no frills yet romantic ocean-side beach wedding ceremony. See all that is included below. Customize our wedding service to make it your own wonder lifelong experience right here in our wedding store. Hitched at the Beach “Ceremony Only” Myrtle Beach Wedding Ceremony. Choice of vows… religious, traditional etc. Photographs – Bring your camera or smartphone and our officiant will take up to 20 keepsake photos. The wedding ceremony rehearsal helps all involved in the wedding party familiarize themselves what to expect at the actual ceremony. A real nerve calmer! At your rehearsal your personal coordinator and officiant will conduct a mock ceremony with instructions to all involved. This assures a smooth process come wedding day. Your own personal wedding coordinator will meet with you prior to the ceremony. Your coordinator will instruct you and your bridal party on the procedures to follow, help make sure all flowers, bootineers, hair, makeup, attire etc. is in proper order. Your coordinator will be with you all the way from start to finish. Even for your after ceremony photos to make sure all of your wishes are honored. Clear vase with sand & tea light on the sand ceremony table at your ceremony. *Standard video includes processional, ceremony, sand ceremony, first dance and walkout. *Up to one half hour of video recording. *Delivered within two weeks via digital download. *Your music choices added to video and synced to ceremony. *Your choice of still photos can be added at no additional charge. *This is a rental and must be returned directly following ceremony. Choose your own songs to be played during your Wedding Processional, Sand Ceremony, First Dance & Recess. A wireless microphone will be supplied to the groom or officiant so your guests hear the ceremony through the PA.
Our wedding arch is beautifully decorated with flowers to make your special day even more beautiful. This large wedding arch stands over 7 1/2 feet tall. Our Professional Photographers Will Capture Your Memories. It is your special day, let our professional photographers capture it & using HD Nikon equipment. Get all the details… Click Here! Beautiful Sand Ceremony at your wedding. Choose Standard, Standard plus Unity Set or Deluxe ceremony with Bride and Groom Engraved Sand Art Unity Set. Holiday & Sunrise Premium is $100.00 If you desire any of these special times or days please add this item to your shopping cart. Our Hitched at the Beach “Diamond” Package. “Myrtle Beach wedding package includes everything all of our other package and adds your own personal wedding coordinator, VIP treatment, up to 8 chairs for family, grandparents & guests plus your own professional videographer to capture your wedding ceremony in HD 720p video and high quality audio, personal photographer, wedding and ceremony coordinator, will instruct the officiant, bridal party & groom so they are in just the right place at the right time to capture your special day on video and photographs. 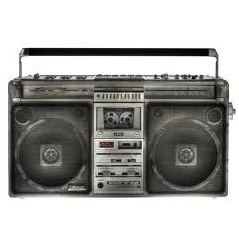 Wireless Bluetooth mic will be placed on the groom or arch to capture crystal clear audio of your ceremony vows. Video will be professionally edited and produced and delivered via digital download in HD .wmv format just days after your Myrtle Beach wedding ceremony. Go ahead… it’s your special day pamper yourself, Go Diamond! Not just a HATB employee with a camera, no… we contract actual professional photographers from Myrtle Beach Photographers at the Beach in our packages to make sure your photo memories are second to none. BONUS… Up to 10 free chairs for immediate family, grandparents, etc. Our “Hitched Platinum Wings” package offers everything in our “Hitched Gold” plus our VIP pampering! Not just a HATB employee with a camera, no… we retain actual professional photographers from Photographers at the Beach in our packages to make sure your photo memories are second to none. If we forgot to list anything from the silver and gold packages don’t worry its included! Our most popular “Hitched Gold” has been our bridal couples most favorite wedding package for over three years and offers everything you need for a beautiful & memorable Myrtle Beach area beach wedding ceremony. Choose your own music selections for your processional, sand ceremony, bride and grooms first walk and first dance. Choose your favorite colors to decorate the arch and isle way. Your personal and professional photographer will capture every moment of your ceremony, pre-ceremony & post ceremony formals to preserve your wedding memories forever. Famous poses will be offered for a wonderful post ceremony shoot of you and your guests. “Get ready for the “Myrtle Beach Jump!” (photographers are provided by Photographers at the Beach) Our Hitched Gold package is a beautiful and popular choice! Our “Hitched Gold” package offers everything in our Hitched silver package plus use of music for your processional, photography, sand ceremony and first dance, deluxe isle decorations, ring barer ring pillow, flower girl basket, bonus 8 chairs for your elders or special guests etc. Not just a HATB employee with a camera, no… we retain actual professional photographers from Myrtle Beach Photographers at the Beach in our packages to make sure your photo memories are second to none. Our famous “Hitched Silver” Myrtle Beach weddings package offers everything you need for a beautiful seaside beach wedding ceremony. This exciting full feature entry level package includes your choice of vows religious or traditional or write your own, officiant, wedding arch with choice of fabric colors, isle decorations, sand ceremony, tiki torches, shells, starfish, lanterns, choncs, and more. No need to add $ for your beach decorations, sand ceremony at Hitched at the Beach! See package details below. *Not just a HATB employee with a camera, no… we retain actual professional photographers from Myrtle Beach Photographers at the Beach in our packages to make sure your photo memories are second to none. Hitched at the Beach “Bronze Package” Myrtle Beach Wedding Package. 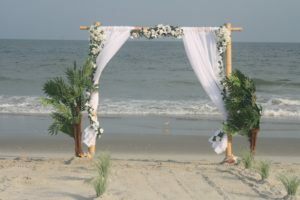 Our popular and affordable “Officiant Only” is perfect for couples looking to get “Hitched at the Beach” for a no frills yet romantic ocean-side beach wedding ceremony. See all that is included below. Customize our wedding ceremony to make it your own lifelong experience right here in our wedding store under the A La Carte tab. Hitched at the Beach “Officiant Only” Myrtle Beach Wedding Ceremony.